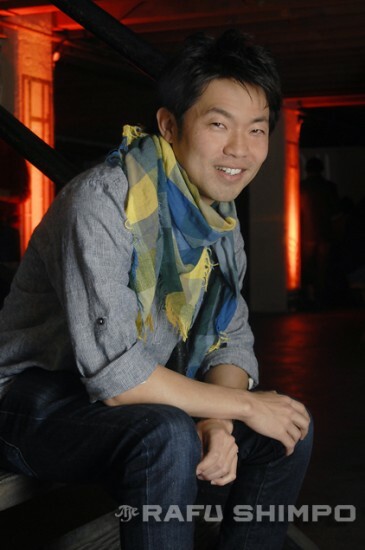 His film enjoyed an enthusiastic reception when it premiered at South by Southwest, and more warm fuzzies in New York, yet Junya Sakino admitted to being nervous about its debut in Los Angeles. “I’m a little anxious; this is my home, with all my friends,” he confided. Sakino’s first feature, “Sake-Bomb,” will have its first L.A. screening this Saturday, as part of the 2013 Los Angeles Asian Pacific Film Festival. It is a crowning moment for the 32-year-old native of Hiroshima, whose life took an unexpected turn 13 years ago, when he visited the U.S. as a passive tourist. Two years later, Sakino made the decision to call L.A. home, and to dive headlong into the cinematic arts. He said the timing couldn’t have been better, as the technology of filmmaking was undergoing vast changes, allowing far greater numbers of artists to afford to actually produce a movie. For much of Hollywood history, simply managing to complete and deliver a feature would garner a fair amount of attention, as well as a decent chance at distribution. There are scores of movies shot quickly and cheaply – sometimes in a single day – with the express goal of getting it into theaters regardless of its quality … Ed Wood could tell you all about it. In this age of YouTube and high-resolution cameras built into mobile phones, however, the film’s content is almost the sole factor in attracting attention. Sakino said the inspiration for “Sake-Bomb” arose out of a seemingly routine night out for dinner. The story Sakino brainstormed involves the somewhat awkward pairing of an young Asian American man and his Japanese cousin, who embark on a road trip with a somewhat precarious goal. Traveling the road to Northern California, the once-disconnected relatives are confronted with the inevitable culture clash, as well as a host of characters along the way. The feature stars Eugene Kim and rising Japanese star Gaku Hamada, who is in seven films this year alone. Sakino said that as a native of Japan, his first realization of the distinction between Japanese culture and an Asian American identity was irresistible. “There are a lot of basic differences, but what really fascinated me about Asian Americans is that while they might look like me, they are very American,” he explained. “They might look like me, and have Asian culture from their heritage, but it’s more than just speaking English. It’s a kind of shared experience of maybe sometimes being treated like they are foreigners, just based on how they look, when they are completely American. “Sake-Bomb” makes its Los Angeles debut at 4 p.m. this Saturday, May 4, at the Directors Guild of America, 7920 Sunset Blvd. in West Hollywood. For tickets or more information, visit asianfilmfestla.org, or call (213) 680-4462.